The U.S. Senate, whose Republican majority has been exceedingly reluctant to challenge President Donald Trump, last week voted to bring to the floor a measure limiting his effort to support Saudi Arabia's warmaking in Yemen. Many of the Republicans who broke ranks seemed to have been pushed over the edge by the administration's tepid response to the murder of Washington Post columnist Jamal Khashoggi. 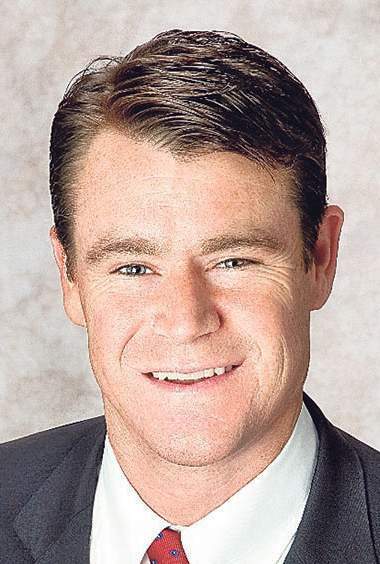 Not Indiana's Sen. Todd Young, who has been speaking out with increasing determination against the brutal civil war for almost two years. Still holding out hope the administration could be persuaded to modify its unqualified support for the Saudis, Young voted last spring to table the measure to limit U.S. war powers. Before last Wednesday's vote, he delivered a powerful speech explaining why he now believes the Senate must act, arguing the United States has both a humanitarian and strategic interest in trying to bring the combatants to the negotiating table. The Saudis are waging their battle against Iranian-backed factions by cutting Yemen off from vitally needed food relief, something Young contends is unconscionable. “With 14 million people on the verge of starvation in Yemen, and things getting worse by the day, there's no time to lose,” he told his fellow senators. The Saudi war is supposedly aimed at curbing Iran's ability to spread terrorism. But Young, a former Marine who “will take a backseat to no one as an Iran hawk,” argues persuasively that the conflict is having the opposite effect. “Famine and the indiscriminate targeting of civilians will only push more Yemenis toward Iran and its proxies, giving Iran increased opportunities to threaten Americans, our allies and our interests,” Young said. Young is hardly the GOP's rabble-rousing rebel. Since his election to the Senate in 2016, he has voted to kill Obamacare, to approve the budget-busting tax cut and to confirm controversial Supreme Court nominee Brett Kavanaugh. But his steady efforts to chart a wiser course with Saudi Arabia show he understands Congress' role in the constitutional system of checks and balances better than some of his colleagues. On Yemen, Young is demonstrating the courage to do what's right, even if that means clashing with his party's leadership.